A new, fast and irreversible method of producing hydrogen has been developed by researchers from Waseda University. This method uses less energy and takes place at a very low temperature. This development is expected to contribute to the increase of fuel cell systems for homes and automobiles. Generally, hydrogen is extracted from steam and methane with a nickel catalyst at temperatures of more than 700 °C. However, this high temperature causes huge issues for widespread use. Professor Yasushi Sekine, Waseda University Faculty of Science and Engineering, headed the team of researchers who developed a technique that enables the extraction of hydrogen at temperatures as low as 150 - 200 °C. Energy input required to produce hydrogen fuel is greatly reduced by this shift, which also reduces the cost involved in construction materials, extends catalyst life, and decreases the complexity of cooling or heat-management systems. Although the researchers were aware that a quick reaction is possible in the range of 150 - 200 °C when a weak electric field or surface protonics is applied, they did not understand the mechanism completely. The group that studied the catalyst at the time of reaction are the first to explain the mechanism in this research. Protons travel at high speed through water adsorbed on the surface of the catalyst, and the surface “hopping” of protons enables reaction to take place at low temperatures. The reversal of the reaction is prevented by the collision of the adsorbates and the protons. 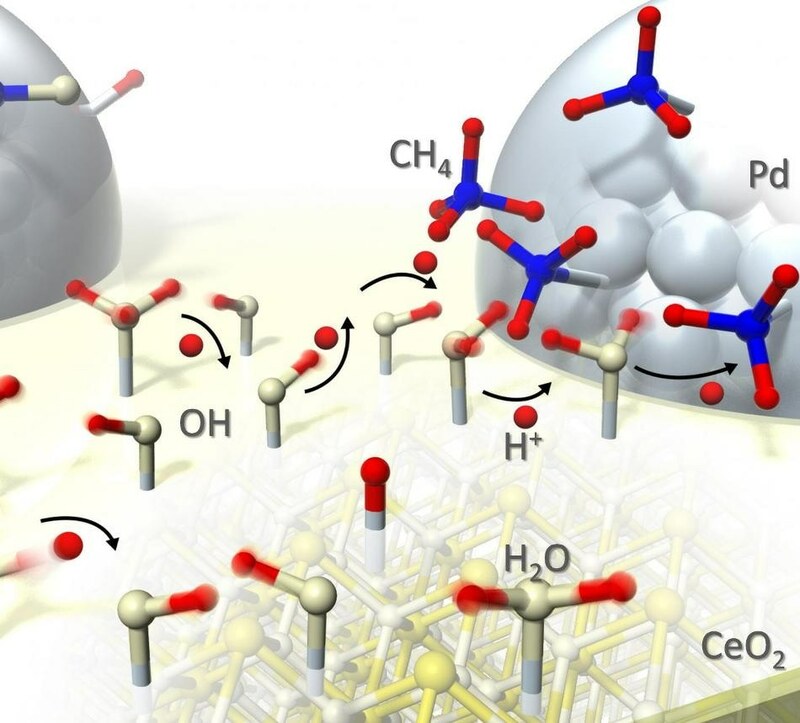 As momentum for the commercialization of hydrogen grows, this new study is applicable to the production of hydrogen as well as to several consumer products as the mechanism can be used to lower temperatures in numerous reactions that involve water or hydrogen. The method is already being applied to research for enhancing energy efficiency in cars by developing reactions between fuel and exhaust gases at low temperature.